#ipsyLove was the theme for February's glam bag, and what a perfect theme - although somewhat expected because of Valentine's Day. No complaints here though - I love pink, and hearts, and all that other stuff. My bedding just happens to be the same colour as the pink on the bag, sorry if it blends in a little - it definitely wasn't planned! I like the bag, I like the colour, I like the pattern. I'll use it! When I saw this in the sneak peek, I was just meh about it. I loved the mask I got a few months ago, but I REALLY wanted that Hey Honey mask. 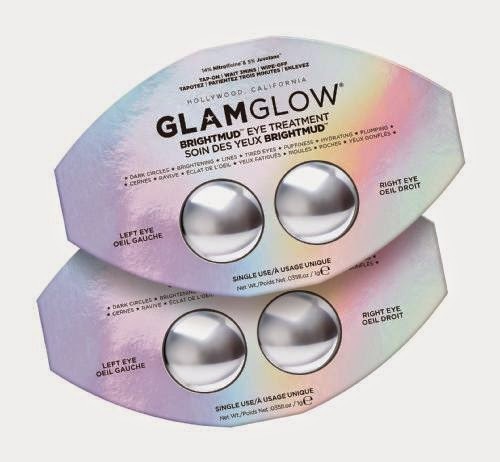 But the GlamGlow has a good value. I haven't tried it yet because I have another eye cream on the go. Apparently this one you apply it and then remove it after 3(?) minutes. I will do a full review on these once I try them out. Oh, I also only got 1 package in my bag, and Ipsy is sending me another since we were supposed to receive two. I remember this sneak peek was mostly all lip products, and one eye shadow. I wanted one of the city color cosmetics lip products. Either the balm, or stain, I didn't even care. My second to last choice was this. It doesn't look too light on the screen, but its like a bubblegum pink. It does absolutely nothing for me. It's also sticky, and smelly. I'm not a fan of this at all. It might get used if I mix it with a darker colour, but on it's own? No way. It makes me look sickly. 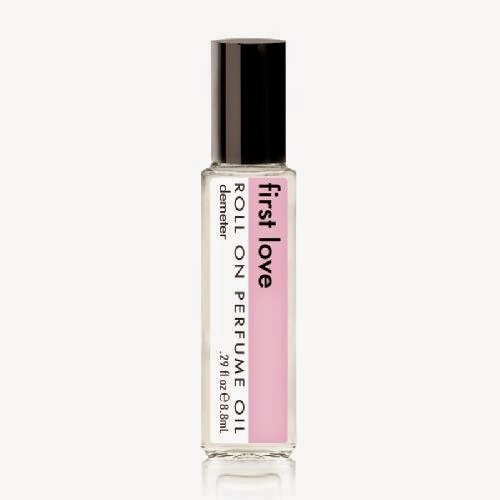 This is described as "First Love is an irresistible, unique and unusual light floral combination of lemon zest, jasmine, honeysuckle, water lotus and white rose" now, I'm not a fan of floral scents. On me, or as an air freshener. I did want to try this though because I have heard nothing but great things about Demeter. I'm surprised it didn't leak in the bag. As a scent for me, I'm not the biggest fan of it. It's nicer than the Rihanna perfume I was sent in October, but I have many many other perfumes I'd choose over this one. It also doesn't last very long on your skin. This little rollerball also retails for $10 on their site. This was in a sneak peek that there was nothing I wanted. This kind of won in my list of choices because the spoiler seriously wasn't good. Anyway, theres nothing special about this shadow. It doesn't show much on my skin either. This was the item that ALL members received this month. When I first heard the colours, I really wanted the peach shade. 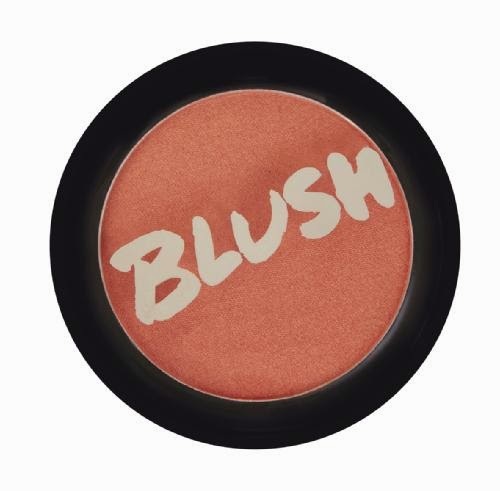 I don't have a blush in this colour, in fact I only have 2 other blushes and they are pink. 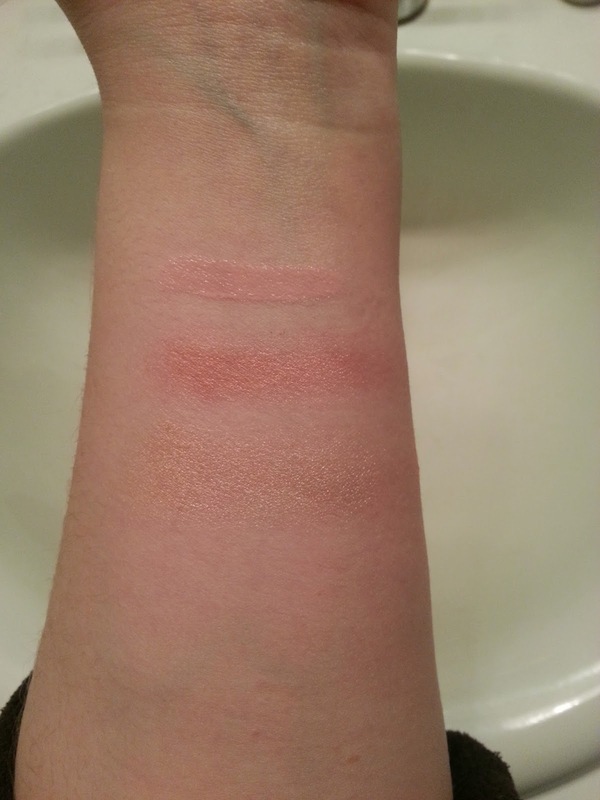 I'm not a huge fan of blush, so I don't wear it often, but I thought this would be fun. 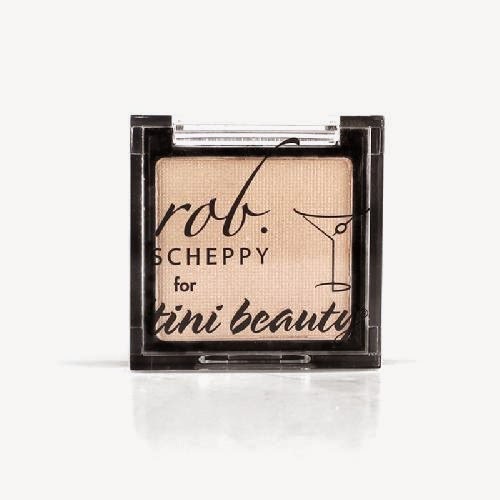 I tried it lightly and it has a bit of shimmer. It's not bad, but I couldn't see myself wearing it alot. But that's just blush in general for me. The lighting isn't the greatest in the above picture, but these are what each colours look like on me. 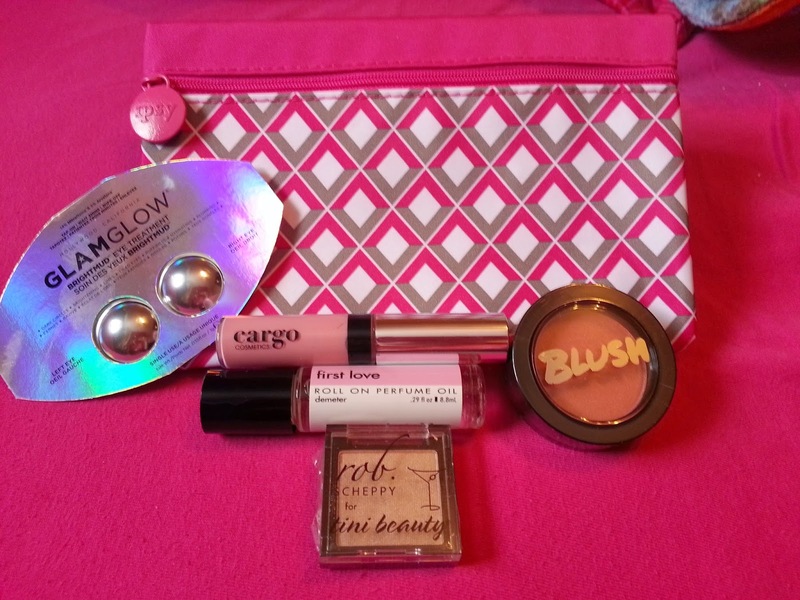 Top is the Cargo lip gloss, then the peach bellini blush, and then the tini beauty eyeshadow in pearl fizz. As you can see, none are really that flattering for my PALE skin tone! I've pretty much decided that if Ipsy posts a 250 point item I will redeem the last of my points and get my March bag and cancel. If they post it before the end of the month that is. If by the end of the month nothing has been added, I will be cancelling anyway. I love getting the pink envelope every month, but I'm just collecting way too many products, and $20 a month is starting to get to be too much.